UPDATE: NOW CLOSED. A big congrats to Jordyn B. for being the winner! Hey everyone! If you didn’t know, Cars 3 came back to theaters for a limited time for this Labor Day weekend—and today is the last day! 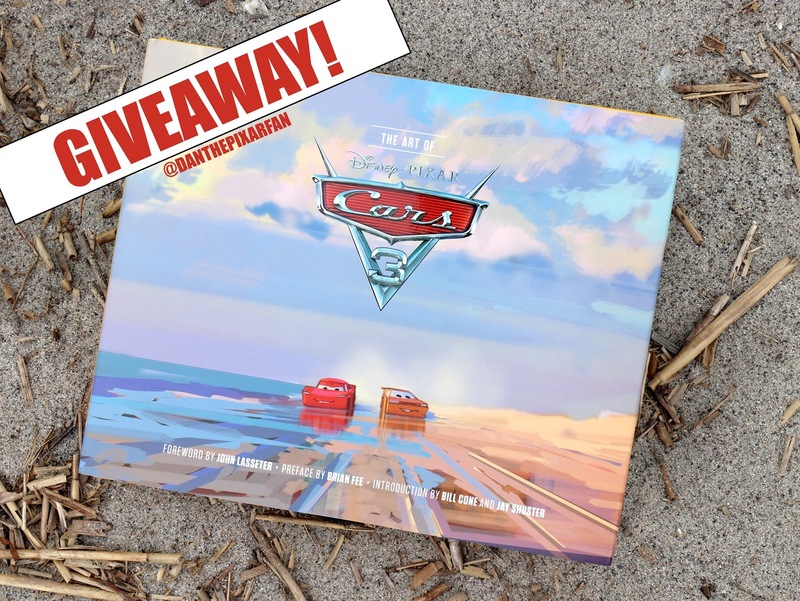 In celebration of Labor Day and this brief re-release of Cars 3, I’m giving you the unique chance to win a FREE copy of the fantastic “Art of Cars 3” by Chronicle Books! No purchase necessary, just follow the steps on my Instagram post HERE and/or my pinned Twitter post HERE to enter. Find me on both Instagram & Twitter @danthepixarfan and be sure to follow along. Note: Must live within the 48 contiguous United States to qualify. Must be 18+ to enter. Winner will be chosen at random and announced on September 9th.